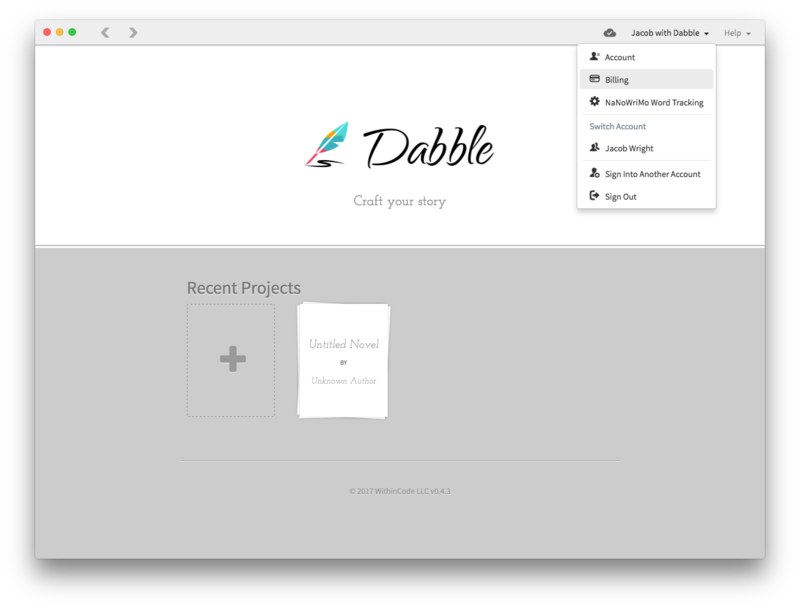 How to change your Dabble plan to monthly or yearly. 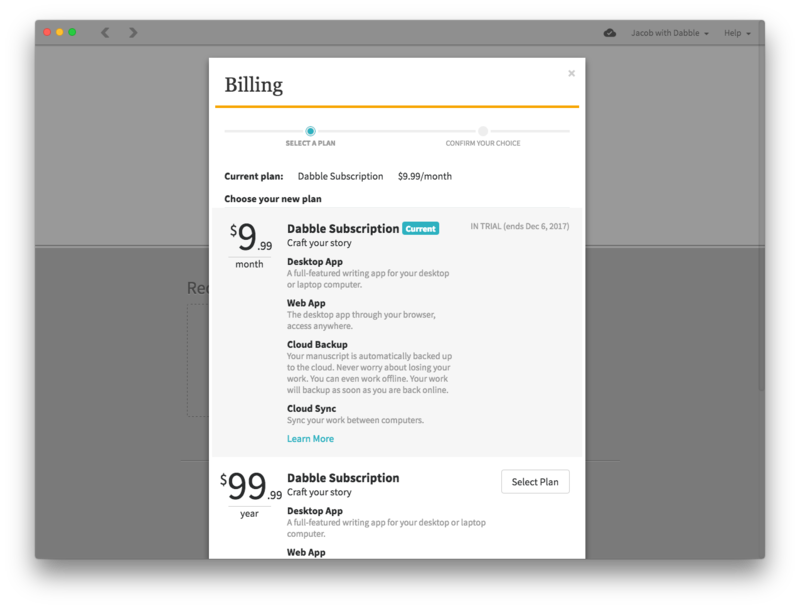 Dabble subscriptions can be paid for monthly or yearly and are all pre-paid. 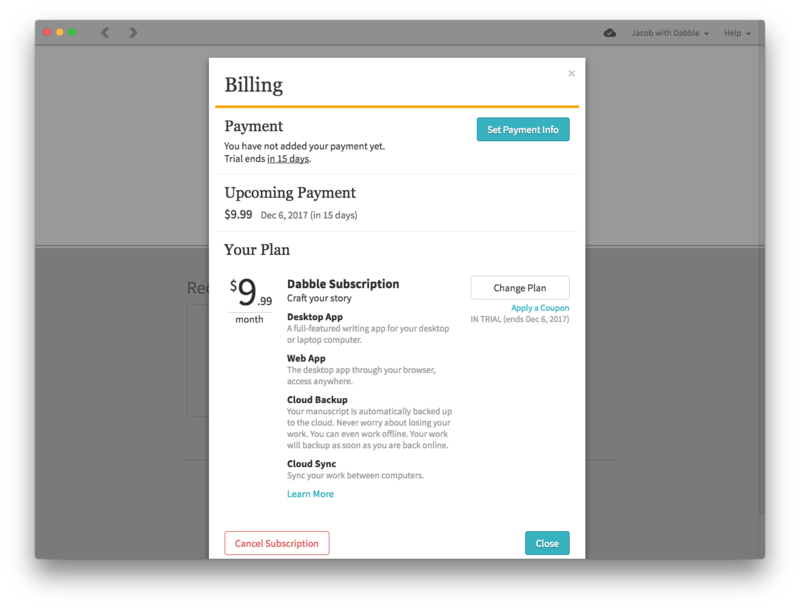 Canceling a subscription will cancel the renewal of your subscription, allowing you to keep the remaining time left on your plan. Dabble prorates your changes, so if you are in the middle of a month your amount due will be shown to you. 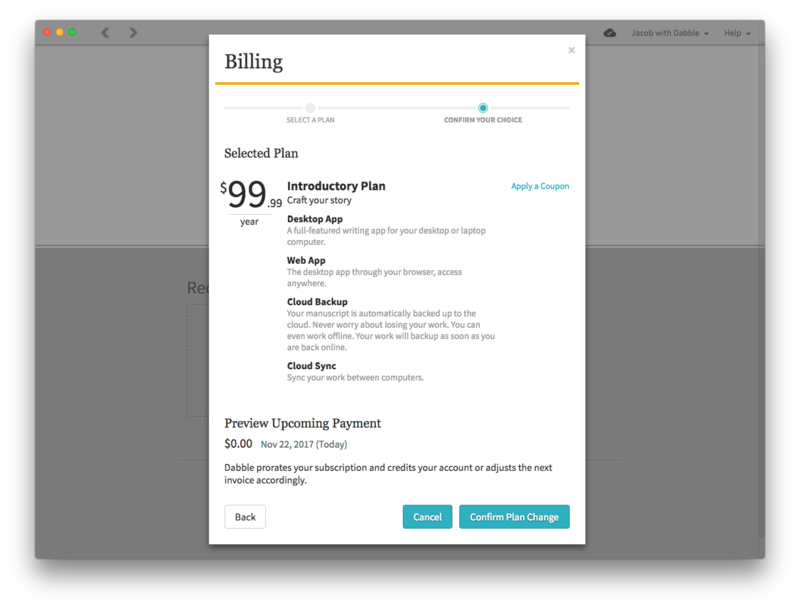 You may also receive a positive balance to your account if you are switching from a more expensive plan to a cheaper one.